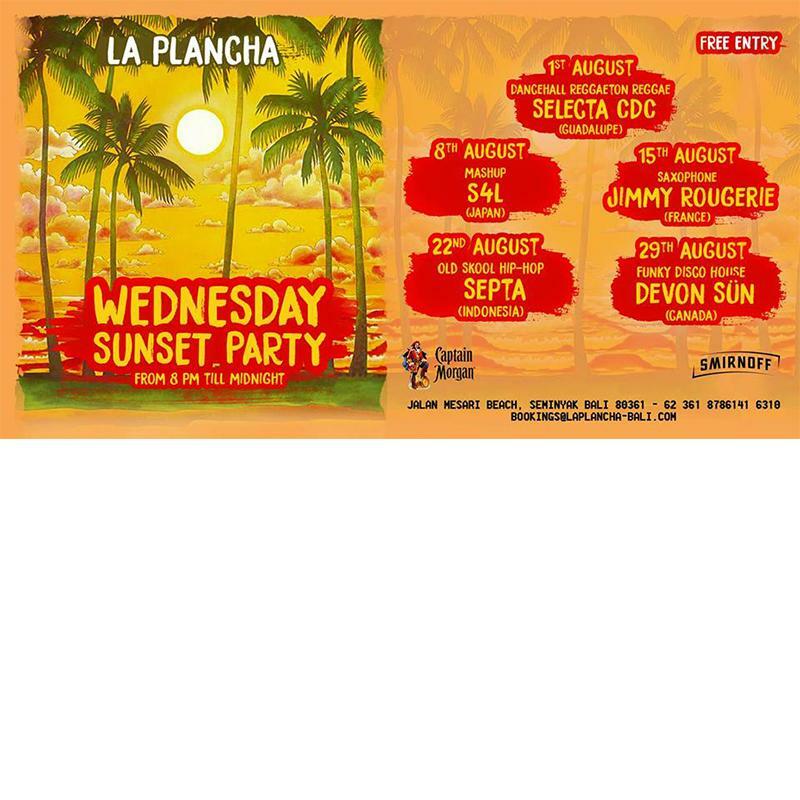 From now on the place to be on Wednesday is La Plancha Bali! After the sun is set, it is time to listen to some tunes and dance under the stars! What is better than a beach party in the open air? Ocean breeze, soft sand, best tunes and delicious drinks! After sunset DJ set, stay with us for a beach party! See you on Wednesdays party peeps!